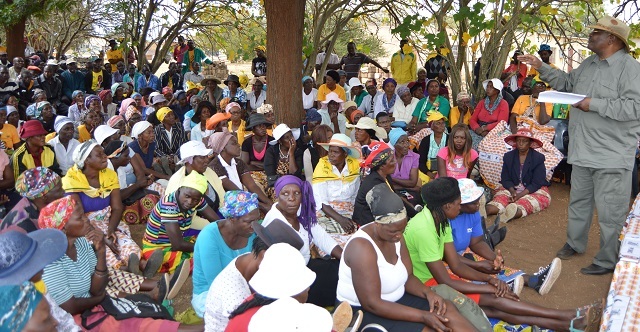 ZANU- PF members who feel aggrieved after losing in the party primary elections should bury the hatchet and work together with those who won to ensure the party wins resoundingly in the forthcoming harmonised elections. 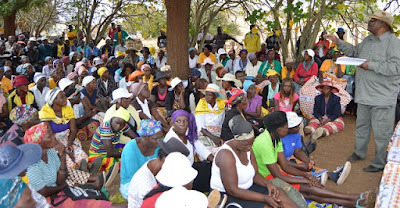 This was said by the party’s Secretary for Administration, Cde Obert Mpofu, while addressing supporters at Mbamba Business Centre in Tsholotsho South constituency yesterday. Sitting National Assembly representative for Tsholotsho South Cde Zenzo Sibanda won the ticket to represent the party in the forthcoming elections. “The meeting is the first one after the primary elections. We are trying to reconcile the divergent views that people had. We want to unite people and aim to reach the common objective that is to win the upcoming elections. We have some comrades that were still aggrieved by the results of the primary elections,” he said. Cde Mpofu said people should accept the results of the primary elections and move forward. He said Tsholotsho South is a Zanu-PF stronghold and people should vote for the party to retain the seat. Cde Mpofu said people must emulate him as he was a faithful Zanu-PF cadre who has never been dragged before a disciplinary hearing. “I am a loyal person to the party, I have never been disciplined before. Some people have tried to lie about me but they have failed to prove what they wanted. So I encourage you all to know where you belong and do not abandon the party no matter what. “We are Zanu-PF and we should show it by voting for President Mnangagwa in the harmonised elections,” he said. He said war veterans were key as they contributed in liberating the country. “Look at the President’s top five, he is surrounded by war veterans, it shows us how highly he holds them. He has not forgotten who liberated the country so please may all war veterans feel respected. We have to respect them,” he said.